Over a year after buying an Ealing box set, I put on the only film in the collection I hadn’t seen as a boy - Kind Hearts and Coronets. Terrific stuff, unexpectedly dark, though given its premise I don’t know why the surprise. 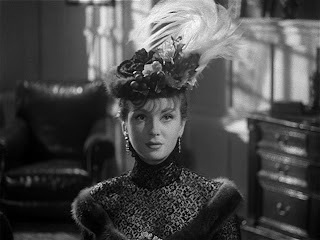 I think I was taken aback by how sharp it was and how, though the roles of Alec Guiness are a reference point, it is the performance of Dennis Price I will remember, if not Joan Greenwood as the artful Sibella. Ah, Joan, we shall meet again in The Man in the White Suit; I wonder if I’ll like you quite as much then? I corrected my omission in response to a spot-on review in The Guardian - who’d have thought I’d ever say that - which starts “There are four great voiceovers in cinema”. Voiceovers; whilst I try not to judge, I regard them suspiciously, chuckle when the somewhat unsympathetic McKee dismisses it as “sloppy writing”; though that’s Adaptation, a film with a wonderfully recursive quality, featuring much ‘off-camera commentary’ itself. Occasionally I do have my prejudice stoked by the truly awful; drama such as The Body Farm - what were you thinking BBC? - or irritated when otherwise they have something to recommend, such as Submarine. On the whole, they magnify any fault, and if that’s the case I have no excuse - and every reason - to look up the others in the list; Sunset Boulevard and The Age of Innocence for instance - how can I have missed those two?